The Backup tab available from your TWRP custom recovery on the HTC Desire 601 smartphone is implausibly important for many reasons. One of the main reason people install custom recoveries is because they want to install a custom kernel, custom ROM, or any other kind of modification to the internal system. By having the Backup tab from your TWRP main user-interface, you are able to easily backup before any kind of corruption occurs. When that does happen, you can tap over the ‘restore’ tab and your data is back on the device and there is no harm done. You must have an unlocked bootloader to install a custom recovery on the HTC Desire 601 using this guide. You can only install the TWRP image that is in this guide on the HTC Desire 601 smartphone. Do not install it on any other device that is in the HTC Desire series, including the Desire 810, 816, 620, 616, 610 and 516 or else you risk bricking that device. Install the universal ADB Driver  on your computer running Windows before starting the guide. Unlock the hidden Developer Options menu on your HTC Desire 610 smartphone so you can turn on USB Debugging by tapping on the Menu > Settings > About Device > Build Number 7 times. Enable the USB Debugging Mode on the Desire 7601 by tapping on the Menu > Settings > Developer Options > USB Debugging Mode. Download the TWRP Recovery for the Desire 601 from this link . Set up adb on your Windows computer so you can issue some adb commands and flash the custom recovery image. Copy the TWRP Recovery file over to the same folder as your adb and leave to open. Connect the HTC Desire 601 smartphone to the computer with the USB cable. From within your adb folder, hold the Shift key and right-click an empty area where there is no files and choose to open a new command prompt window. 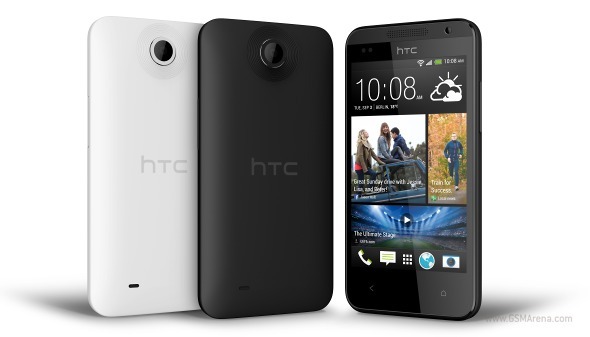 Most people should find the custom recovery is now installed on the HTC Desire 601. A select few may experience the stock recovery wiping over the custom recovery so it goes back to a stock recovery after the first boot. If that happens to you, use Google and find out the steps to enter recovery mode on the HTC Desire 601 smartphone and then press the button combination when you are issuing the last “fastboot reboot” command. You should it now boots to the custom recovery every time.